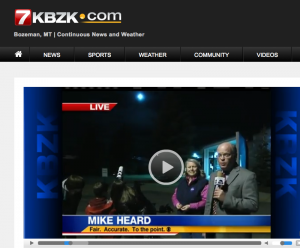 There has been several great astronomical events recently, and Mike Heard at KBZK helped to get the word out. 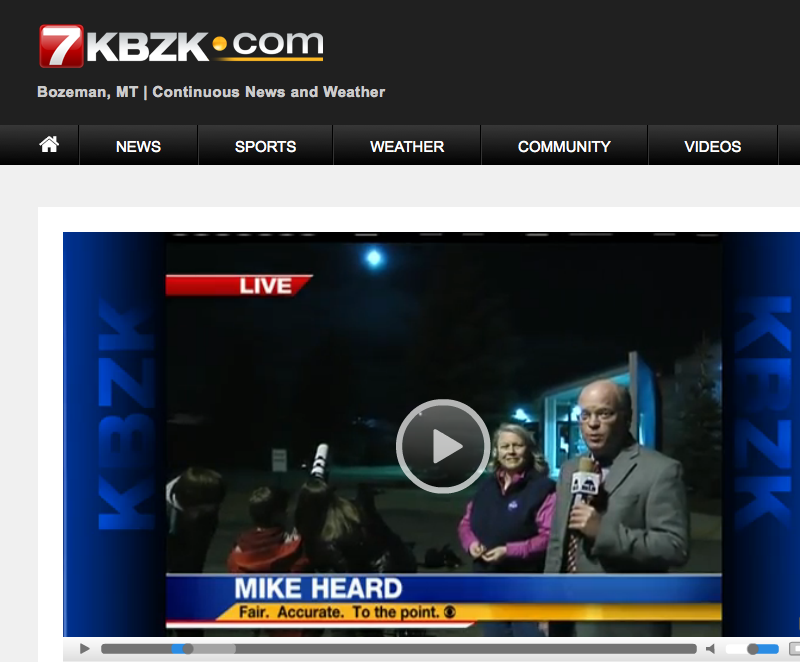 A short clip for Astronomy Day was shown the first week of April, followed by a live appearance for the eclipse on the KBZK studio patio. Jacob Kushner had first light on the Hiscock Telescope on April 14th live on TV as we were waiting on the eclipse. Jacob has been building the scope from the MSGC grant with the help of several high school students and some members of SMAS. Lynn Powers with her amateur astrophysicists, Madeline Kelly on the left and Hannah Cebulla on the right. Search for “soft skills” in Google and you’ll find 45,800,000 results. The first screen includes business Web sites, Web sites listing job and interview skills, career developer Web sites, and an article from National Careers Service asking, “What are the ‘soft’ skills employers want?” The U.S. Department of Labor links to a curriculum focused on teaching workforce readiness skills to youth ages 14-21 called “Skills to Pay the Bills: Mastering Soft Skills for Workplace Success.” The course consists of six modules: communication, enthusiasm and attitude, teamwork, networking, problem-solving and critical thinking, and professionalism. The one link focusing on education is titled “Should schools teach soft skills?” Forty-five million sites think we should. Hannah Magnan and Susan Steidl, New Canaan High School English teachers in Connecticut, formulated a plan to teach students to reflect more deeply and to appreciate reflecting as an essential life skill. They ask students to submit work on a Google doc, which receives written feedback in the form of inserted comments from their teacher and peers. Students document and track this feedback on their own spreadsheets in Google Drive. After gathering enough evidence, each student evaluates the feedback, searches for patterns used to develop specific writing goals, submits plans for achieving those goals, and writes reflections on each step of the implementation process. Since the entire process is done online, the individual student practices giving, receiving, and evaluating feedback from various sources on a variety of posted assignments. At the end of the process, students reflect on their progress and decide whether they need more instruction, practice, or feedback on their current goal, or re-evaluate whether it is time to set a new goal. At the end of the course, student responses to the goal-setting process were overwhelmingly positive, specifically due to the high level of autonomy, differentiation, and accountability the method afforded. Right down the hall, Evan Remley and Bob Stevenson co-teach an American Studies class of 45 students where they use many of the interactive features built into Moodle to cultivate collaboration and facilitate meaningful discussion among students. These features include forums, peer revision tools, blogs, wikis, and the other functions of the read-and-write Web application. With continual use and timelined access to the feedback cycle, teachers and students can reflect thoughtfully on their progress and set meaningful goals around content and processes. Most powerfully, Moodle’s 24/7 accessibility through email, apps, tablets, and smartphones helps students and their support networks take control of their own learning beyond the classroom. This powerful tool enables students to cultivate skills that, once mastered, they can use for a lifetime. In a Bozeman, Montana, high school Lynn Powers is creating future thinkers engaged in the real work of adding and creating new knowledge in astrophysics. Students use CoolWiki and DropBox to share research, photos, and findings with professors and experts at CalTech and Harvard. 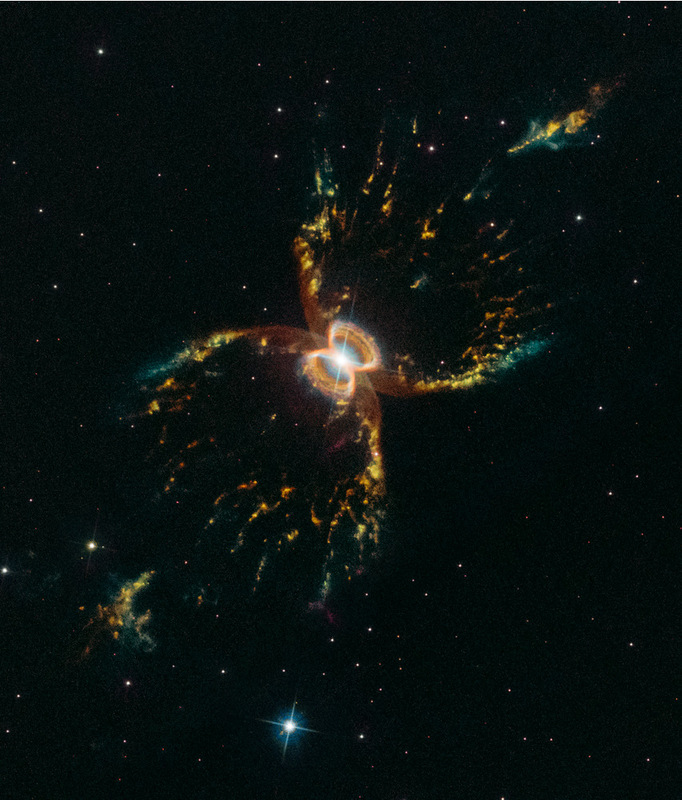 They use archived data from two telescopes to determine if stars are being formed in NGC281, also known as the Pac-Man Nebula, and work with an expert at CalTech to learn to program in Python to analyze these data and draw conclusions. They presented their findings at the American Astronomical Society meeting in Washington D.C. in early January. John Barell, author and expert on inquiry and problem-based 21st century learning (morecuriousminds.com) said, “These students are on the frontiers of new knowledge…their work …contains elements that can be transferred to any classroom: reverence for and openness to making mistakes/‘failure’, which means we try and try, take some risks, fail sometimes, learn and improve.” These are soft skills that are crucial to any scientific endeavor. The Center for Global Studies (CGS), a magnet school in Norwalk, Connecticut, under the directorship of Roz McCarthy, is focused on global understanding. Students at CGS are learning their second or third language and routinely communicate with their sister schools in Japan, China, and Arabic-speaking countries. They use Google Presentations to create projects, Picasa to share photos, Voicethread to allow a spoken exchange to be delivered in the target language, as well as Facebook and Twitter for social networking. Most projects are shared online with the sister schools and designed to demonstrate what it means to live in their respective countries . Some projects, like the Voicethreads, are collaboratively created with partners in the target culture. Once online sharing has occurred, there is often a Skype session where students can talk about the work. Speaking and communicating with other cultures requires a different set of norms; therefore students have an opportunity to learn what topics should and should not be discussed. MentorMob is an online playlist tool that is useful for teaching time management, personal organization, and independent thinking because kids can be given step-by-step guidance that can be accessed chronologically or randomly depending on the student’s individual need. Students can also be asked to create a MentorMob file for their own work, breaking it down into manageable chunks and creating the steps needed to complete a project. Michelle Luhtala, librarian at New Canaan High School in Connnecticut, uses MentorMob to assess research skills as high school juniors begin work on a research paper. Luhtala measures research skills through a 20-question pre-assessment on Socrative.com that students take on mobile technology (their own or library-owned). Each class’s overall performance on each question is compiled and published in MentorMob, and posted to the library’s instructional blog on Blogger, sorting the questions from lowest number of correct responses to highest. Teachers are also given individual student performance results in ranked order so they can quickly determine who might need the most support. Individual students receive their overall scores as well as the ability to self-remediate using MentorMob’s playlist. Here they can access a “step” for each pre-assessment question that links to a mini-instructional module explaining the correct response using Google Presentations, NCHS teacher-created YouTube videos, BlendSpace (another online playlist tool), Prezi (a presentation tool), and in one case, a simple screenshot. Students are also invited to text the library with their questions in Google Voice, which provides teachers with additional data to inform future instruction. In Bridgeport, Connecticut, Diane Tung, Director of Instructional Technology and Student Assessment for the Diocese of Bridgeport, reports that Naviance is being piloted at the middle school level for student surveys and to help students write SMART goals. Naviance offers tools like the Gallup StrengthsExplorer that let students identify their strengths and talents, such as achieving, caring, competing, confidence, and relating, among others. Naviance helps match those students with college and career options, and it also offers strategies for applying them not only to school, but also to a future career and life. A crucial aspect of student success planning is teaching students to archive their work electronically so it can follow them as they move from school to school or change districts. At Nathan Hale High School in Moodus, Connecticut, Deborah Olsen-MacDonald, business education and finance technology teacher, teaches a class called Information Technology, primarily for freshmen. Our BIG P.A. is a project they created using Google Sites where each student creates a personal Web site to be used for collecting schoolwork, listing personal interests and hobbies, showing extracurricular activities, and reflecting on their growth over time and their work to fulfill the district’s learning expectations. Students continually add to the portfolio over the course of their high school careers. Then, when they become seniors, they take a course called “Senior Project” in which they use their portfolios to demonstrate their readiness to earn a high school diploma by showing their learning and growth over time. Today’s students expect a rubric for each assignment and they know how to use them. A skill that doesn’t appear on a given rubric is, by default, not a skill worth worrying about. As such, teachers should focus on creating rubrics that assess not only content, grammar, usage, and mechanics, but will also explicitly assess soft skills. You can write your own or go to Web sites like RubiStar or iRubric (accessible through Google Apps for Education) to see how others assess these skills. Rubrics on these sites can be used as is or modified to suit your needs. You can also create and add your own rubrics to the shared database. Across our nation, state departments of education are creating new policies that recognize the importance of soft skills. In Connecticut, for example, students in grades 6-12 are required to file a personal student success plan made up of goals in social, emotional, physical, and academic growth. A free day of astronomy- and aerospace-related events occurs in Bozeman on Saturday, April 5. BOZEMAN — A free afternoon of astronomy- and aerospace-related events for kids and adults will be held in Bozeman on Saturday, April 5, including talks by two Montana State University alumni who now work in space science and engineering: one as a systems engineer for Google[x] and another who is director of the world-famous Adler Planetarium in Chicago. The event takes place at the Museum of the Rockies from 1 p.m. to 4 p.m., and all Astronomy and Aerospace Day 2014 activities are included that afternoon with museum admission. Kids under age 17 and students with a valid college ID have free admission that day. Exhibits in the main lobby will feature activities, information and give-aways from NASA missions and MSU researchers. Kids’ activities will take place throughout the afternoon. The planetarium show is Flight Adventures. Angela Des Jardins, director of Montana Space Grant Consortium, will begin the afternoon presentations at 1 p.m. in the Hager Auditorium. Former Curiosity Rover mobility engineer Jaime Waydo speaks at 1:10 pm. Waydo, an MSU alumnus, is currently a systems engineer on the chauffeur self-driving car program. At 3 p.m., MSU alumnus Michelle Larson, who is now president and CEO of the Adler Planetarium, presents “Cosmic Wonder: The only thing bigger than the Universe is human curiosity.” Her presentation will take place in the Museum of the Rockies’ Taylor Planetarium. An autograph session with both Larson and Waydo takes place from 2 p.m. to 3 p.m. in the Hager Auditorium. Astronomy and Aerospace Day is sponsored by the Museum of the Rockies, Montana Space Grant Consortium, Monforton School Science and Gifted Programs, Space Public Outreach Team, Southwest Montana Astronomical Society, and MSU’s Extended University and College of Letters & Sciences. Deposits made directly to the bank need to have Identified the person making the deposit. I have one I can’t read. If you made a deposit on 5/29 please let me know.